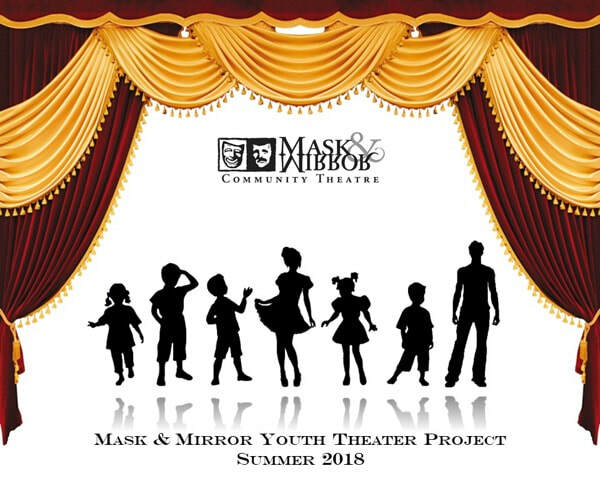 Mask and Mirror is proud to announce that we are now offering a summer theater program for kids! In this new camp of theatrical adventure, children to young adults will have fun finding and exploring undiscovered parts of themselves while supporting this process in others. Theatrical training builds confidence, self-expression and the ability to cooperate and create with others. The training also helps develop focus, listening and communication skills, trust, leadership, empathy, commitment, courage, and much, much more! Several two-week long classes run from June 18th through July 20th depending upon the participant's age and level of ability. Give your young actor a chance to be seen and heard. Give them an opportunity to express themselves, create and grow in a safe, supportive environment. Sign up today! Contact youthproject@maskandmirror.com for enrollment forms and information. A native Oregonian, Gabrielle is an accomplished artist and teacher. She writes, directs and has performed in classic and original plays. Gabrielle co-wrote and directed an original children's musical and taught teens acting and voice at a theater academy in Los Angeles. Gabrielle was also the director's assistant at the New Thought Spiritual Center Peace Village Camp for the Summer of 2017, which entailed planning the camp scheduling, coordinating programs and working with kids from ages 5 to 16.She has performed in musicals, operas and with her own original rock band. In 2016, Gabrielle wrote, directed and produced her own solo show - Bud, Blossom & Bloom! -One woman's transformational journey. She also wrote, directed and performed a 20-minute solo piece in verse entitled Our Sleeping Beauty, wrote and directed A Brand New Day and The Last Survivors of Tonopah as an instant playwright. Gabrielle continues to teach acting and voice to children. She is eager to reach children who have limited or even no exposure to theater arts. Mask & Mirror members with background and experience in education and theatre arts will assist Ms. Widman in the classes. Igniting fertile imaginations through the development of new-found skills, this session will encourage these budding young actors to explore pantomime, dramatic emotional states and unique vocal expressions. Experimenting with a variety of original physical movements, situations and characters, each participant will have the opportunity to exercise creativity individually and with the group, thereby developing a sense of trust in working as an ensemble. Participants will improve their attention and listening skills while having fun creatively communicating. All will be encouraged and given the opportunity to explore a variety of theatrical landscapes where storytelling and make-believe are transformed into confident, theatrical expression. At the end of the second week, family and friends are warmly invited to observe a performance showcasing some of what these young thespians have learned throughout the course. Classes will be limited to 12 students per session. If you have any questions on the registration process, click here.